Red flag sees early end to the Tissot Superpole Race, with Bautista, Rea and Lowes all back on the podium! After the first ever Tissot Superpole Race in Australia, the second Tissot Superpole Race of the 2019 MOTUL FIM Superbike World Championship went to championship leading Rookie, Alvaro Bautista (ARUBA.IT Racing – Ducati), despite Jonathan Rea (Kawasaki Racing Team WorldSBK) leading into the first turn. With the race stopped early due to a red flag for an incident at Turn 3, it was a shorter racer than anticipated. 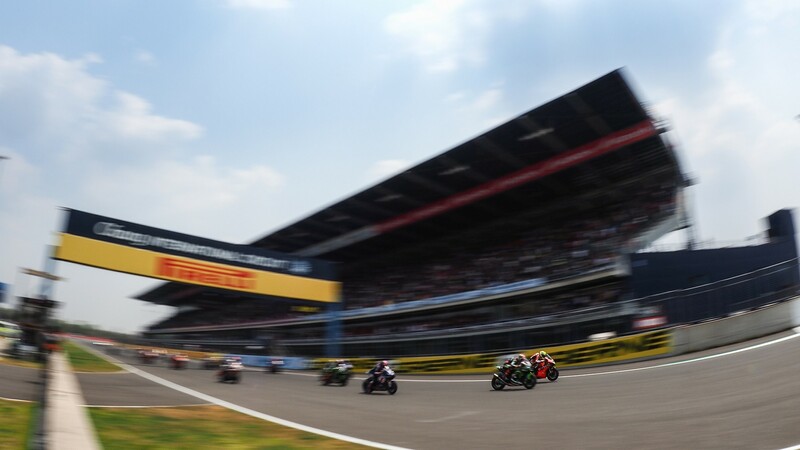 A frenetic opening lap started the 10-lap Tissot Superpole Race, with Rea bolting into the lead and Bautista slotting in behind. It wasn’t long until The Rookie made his way ahead but in a similar style to their collision at Turn 3 yesterday, ran wide and Rea sliced under him. Bautista got back ahead at Turn 4 whilst Alex Lowes (Pata Yamaha WorldSBK Team) began closing in too. Lap one completed, the top five consisted of Bautista, Rea, Lowes, followed by Marco Melandri (GRT Yamaha WorldSBK) and Leon Haslam (Kawasaki Racing Team WorldSBK). Bautista started to pull away from the reigning four-time WorldSBK Champion, who had a lot on his hands with Alex Lowes’ pressure. Ryuichi Kiyonari (Moriwaki Althea HONDA Team) retired from the Tissot Superpole Race, having retired from Race 1 yesterday. Leon Haslam was making moves and got into fourth position ahead of Marco Melandri at Turn 3. On lap four, van der Mark got his chance to get ahead of Melandri, as the Italian ran wide at Turn 8 and allowed the Dutch star through. 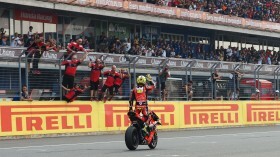 Melandri then ran wide again at the final corner, allowing his teammate Sandro Cortese through. Melandri would take the place back a few laps later. 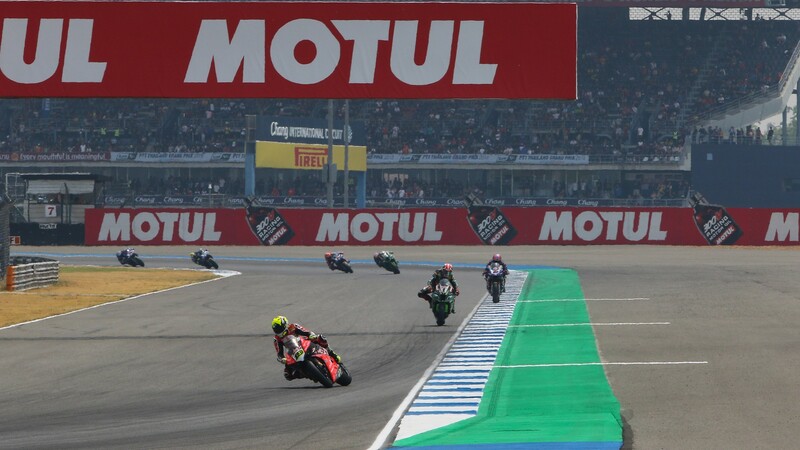 Whilst one Ducati was out front, Chaz Davies’ difficulties continued but he was able to close down Toprak Razgatlioglu (Turkish Puccetti Racing) throughout the race and eventually got ahead of the Turk. Soon after, the red flag was shown after an incident at Turn 3, halting Davies’ charge ahead. Leon Camier (Moriwaki Althea HONDA Racing) and Thitipong Warokorn (Kawasaki Thailand Racing Team) had a collision at Turn 3, bringing the red flag out and the race to a close. The Thai rider had been taken to the medical centre but has been sent to hospital for further assessments. Bautista was declared winner ahead of Rea and Alex Lowes, who was just a fraction behind the Kawasaki Racing Team WorldSBK rider. Michael van der Mark is arguably the biggest beneficiary, moving from tenth on the grid to fourth after finishing just outside the podium placings. Completing the top five was Leon Haslam, who doesn’t change his original grid position. Marco Melandri was sixth and will therefore start Race 2 from the back of the second row, whilst heading up the third row will be Sandro Cortese in seventh, who has a significant drop from his Saturday Tissot Superpole session grid position. Chaz Davies and Toprak Razgatlioglu will join him on the third row. Tom Sykes (BMW Motorrad WorldSBK Team) completed the top ten but will line up tenth too. The race did not feature Eugene Laverty (Team Goeleven) after his huge crash in Race 1. 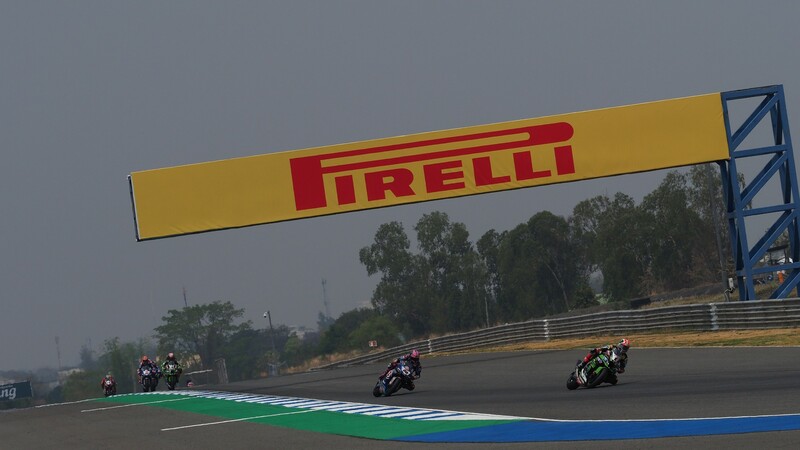 Watch more action from the Pirelli Thai Round of the WorldSBK championship with the WorldSBK VideoPass! Bautista makes it SIX wins in Buriram Race 2! 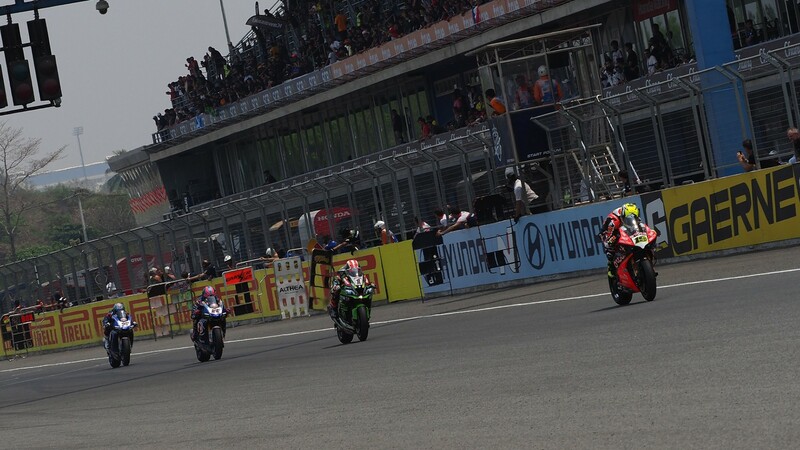 Bautista battles to win in Buriram after on-track clash with Rea! 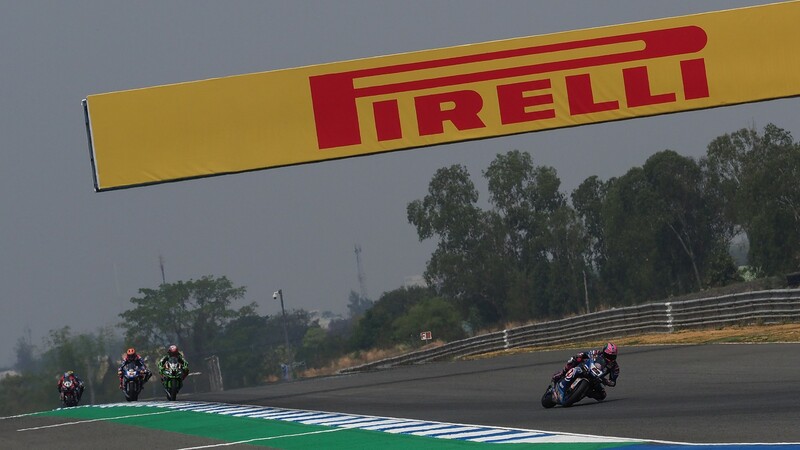 Bautista blitzes Buriram lap record in stunning pole position! 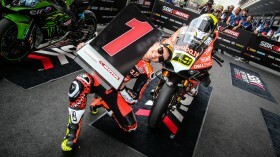 Fantastic Tissot Superpole sees five riders under the existing lap record, even though Bautista romped to pole position!